Home > Products > Banzai!! Banzai! !, simply put, is one of the better ASL newsletters. The product of the Austin ASL Club (later Central Texas ASL Club, and finally Texas ASL Club), Banzai!! 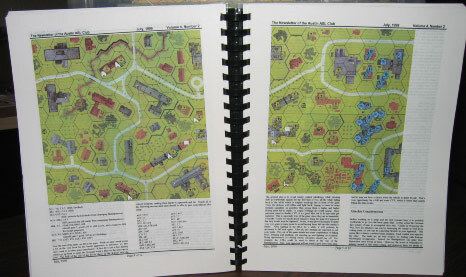 did not feature scenarios, but it consistently did everything an ASL newsletter should: it had good local ASL news, tournament news and reports, AARs, scenario analyses, strategy and tactics articles, rules articles, tactical tips, favorite scenarios, player profiles, and more. The content was not only good; it was also attractive, as Banzai!! became a polished newsletter. 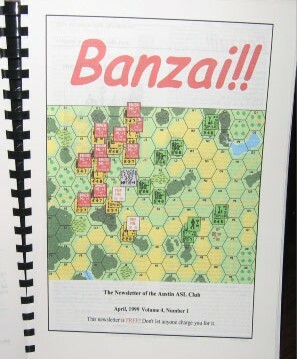 Although there were many folks over the years who did good work on Banzai!! (including Mike Austin, Sam Tyson, Chas Smith, Mike Seningen, Carl Kusch and plenty more), much of the credit goes to Matt Shostak, who went the extra mile to put together a quality newsletter as both editor and writer. 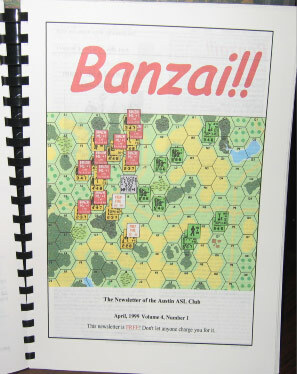 Unfortunately, as is almost inevitably the case with ASL newsletters, the frequency of Banzai!! issues began to decrease and the newsletter eventually disappeared altogether, converted into a blog. This disappointed many ASLers who had come to appreciate the newsletter. In late 2006, in a pleasant development, the producers of Banzai!! announced that they would once again start publishing it as a newsletter, and since then have produced an issue or two per year. It was a welcome event. However, after a while, output declined to only one or two issues a year, then just one. It is not clear if Banzai!! how much longer Banzai!! will last, so ASLers should enjoy it while they can.. Many past issues of Banzai!! can be downloaded as PDF files at http://www.texas-asl.com/banzai/banzai_index.htm. A number of them are well worth reading.